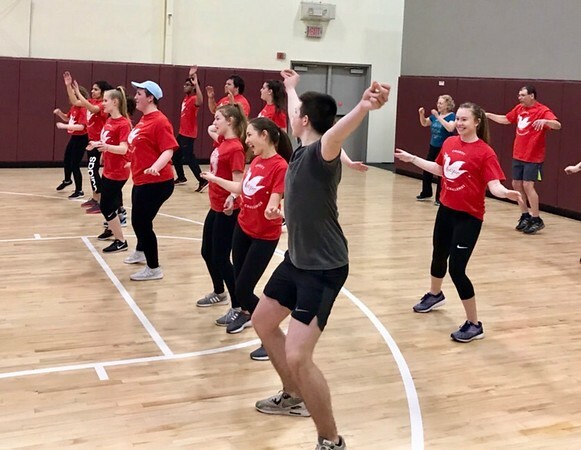 BRISTOL - The Bristol Central High School InterAct Club’s second annual HOPE (Helping Others Passionately and Enthusiastically) Charity Fitness Challenge raised more than $8,000 for three local charities. The event took place in March at Healthtrax. 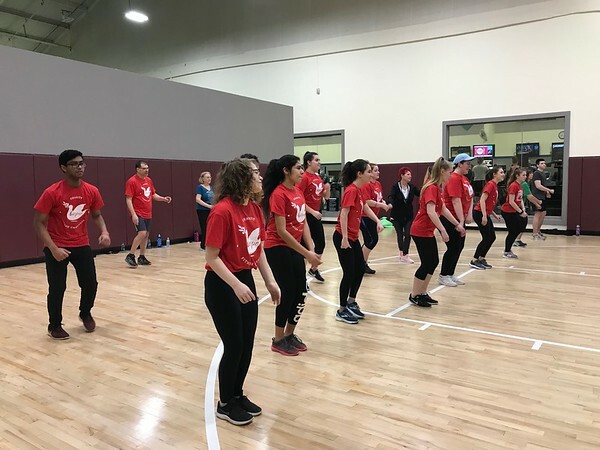 Fitness instructors volunteered to instruct a dozen classes for participants over a three hour period, including: cycle class, boxing, power, step, zumba, boot camp and yoga. Raffle prizes included: gift cards from 150 Central, 99 Restaurant, the Travelers Golf Tournament, a television, a firetv cube, Apple Airpods, and tickets to Yard Goats and New Britain Bees games. There was also a silent auction for a Diamondback Hanjo bike. Sponsors included Starling Physicians, Tracy Driscoll, the McPhee Foundation, and the Teamsters Local 677, with breakfast pastries provided by Harvest Bakery. All the money raised went to support: For Goodness Sake, a nonprofit that provides furniture and household goods to people transitioning from homelessness to independent living; Everybunny Counts, which rescues and rehabilitates abandoned and neglected pet rabbits; and Bristol Special Olympics. All three are charities where InterAct students are active volunteers, Monahan-DiNoia said. Donna Ptak, the mother of two InterAct members, served on the committee with Monahan-DiNoia, Darcy Bentivengo, Debra Catanzaro, and Michelle Gagnon. 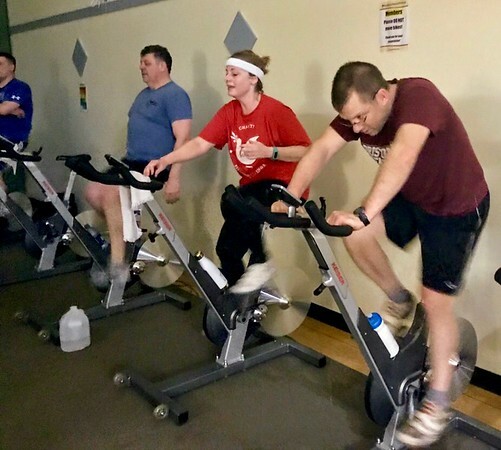 Ptak said the committee planned the event, solicited sponsors, requested teachers for the fitness classes, and started the fundraising in order to offset the cost of the event. Bentivengo, a Healthtrax cycle instructor, thanked all the instructors and sponsors for their efforts. “Year after year, we encourage everybody to join in to support this great cause for our community,” she added. Last year’s inaugural event raised $9,300, which was divided among five local nonprofits: Brian’s Angels Homeless Outreach, and Operation Fuel, which ensures that families in need have access to year-round energy assistance, in addition to For Goodness Sake, EveryBunny Counts, and Bristol Special Olympics. Some of the club’s other activities include: The annual Powder Puff football game, the Mr. BCHS comic male beauty pageant, and The Great Pizza Challenge, in addition to volunteering at local organizations like the Bristol Boys and Girls club, Indian Rock Nature Center and the Bristol Senior Center, she said. Monahan-DiNoia noted that over the past 20 years, the BCHS InterAct club has raised at least $8,000 a year for a variety of charities, including the American Cancer Society; the Make-A-Wish Foundation, which honored BCHS InterAct in 2016 for donating more than $25,000 over the years; Rotary International, to provide polio vaccinations to children in Indonesia and Africa and to build two water filtration plants in Ghana; Plainville’s St. Philip’s House for HIV positive families; the Bristol Hospital Cancer Wing; the Bristol Boys & Girls Club Cambridge Park satellite club; the American Red Cross; Feed America; the Sandy Hook Fund; Protectors of Animals; St. Jude Children’s Research Hospital; and the Connecticut Leukemia and Lymphoma Society. Posted in The Bristol Press, Bristol on Thursday, 4 April 2019 19:36. Updated: Thursday, 4 April 2019 19:38.